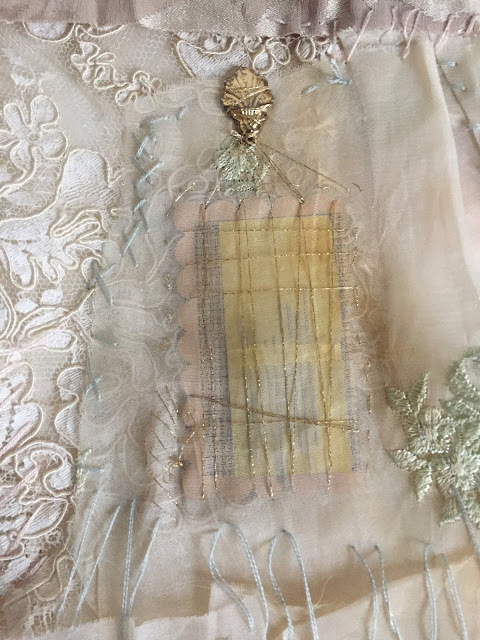 Exhibit Teaser: Two refashioned silk dresses will be featured in the forthcoming exhibition at the Massachusetts Historical Society (https://www.masshist.org) ‘Fashioning the New England Family’ which opens October 2018. The lush, emerald green dress on the left began as Spitalfields silk damask wedding dress, worn by Rebecca Tailer [Byles] for her Boston wedding to Reverend Mather Byles, in 1747. 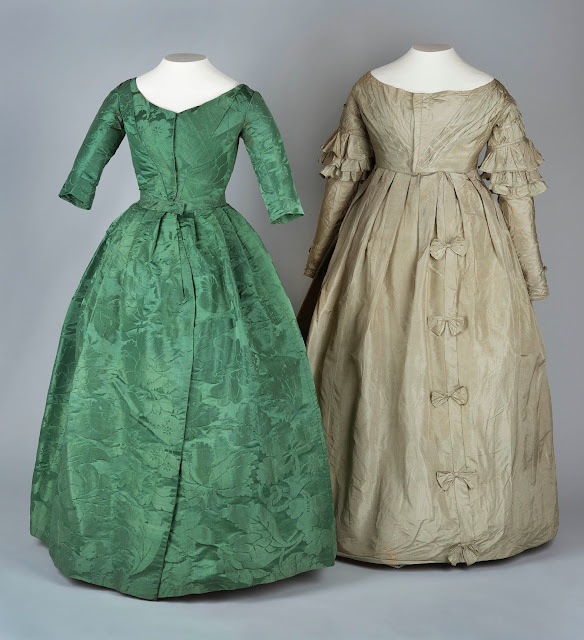 It was altered, clumsily, c.1830s-40s, most likely for a costume or fancy dress event. 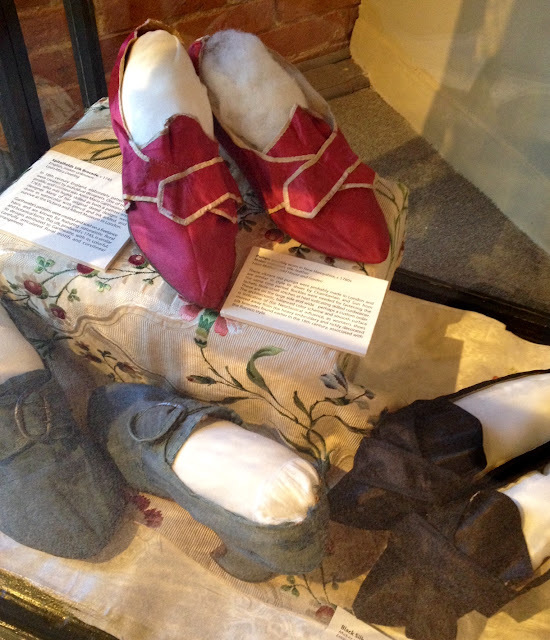 Her matching shoes are extant and will also be on view. 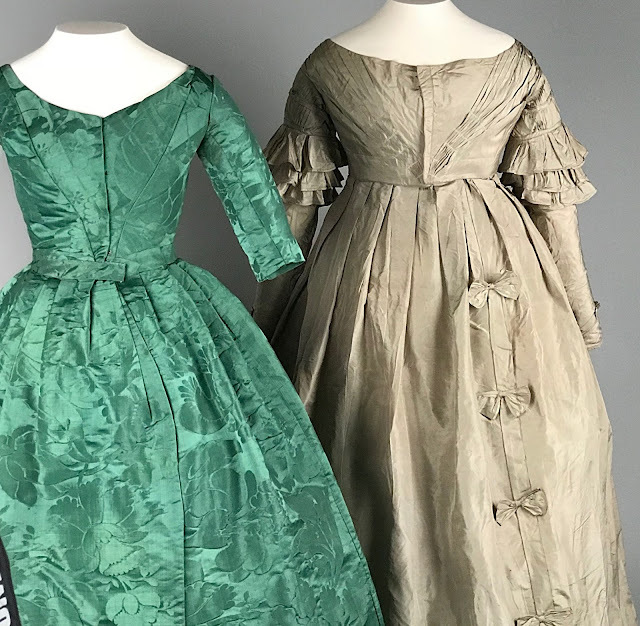 Unfortunately, we do not know who made or wore the well-constructed pale green silk dress on the right. 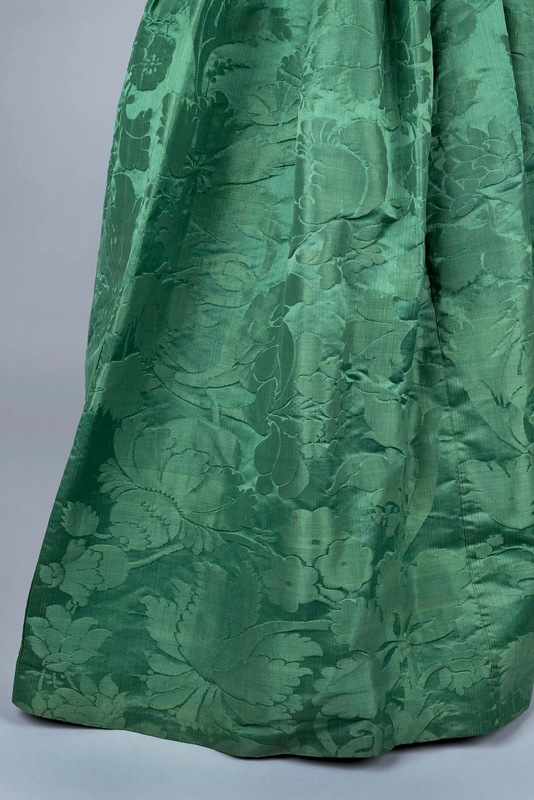 It shows the hand of a skilled dressmaker and most likely has a New England connection. 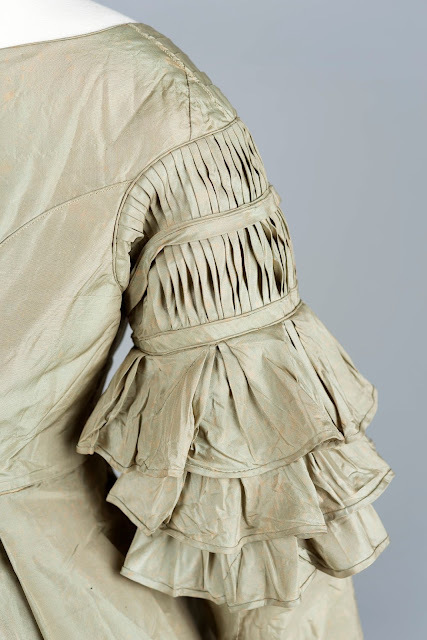 Examination by costume historian and mannequin maker, Astrida Schaeffer, revealed the possibility that the original c1830s dress was replete with popular pouf sleeves, which were painstakingly remade for the 1840s. 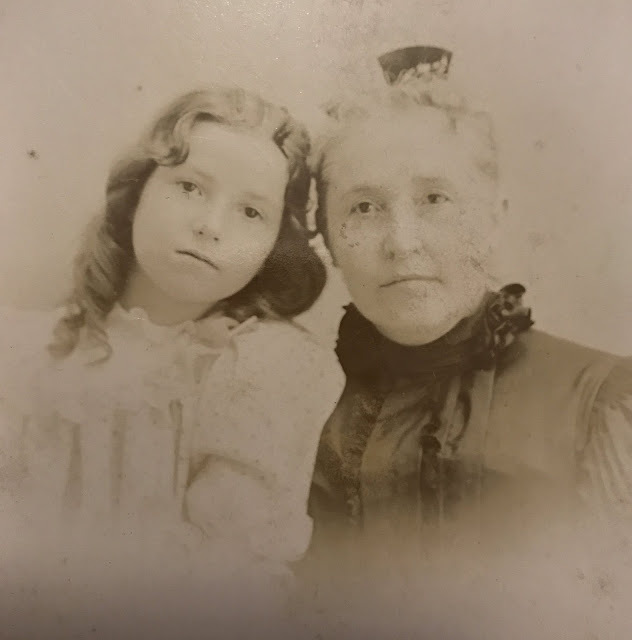 Guest Curator, Kimberly Alexander, Ph.D.
Photo of the young diarist, Hannah Wiswall Haines Webb with her mother. 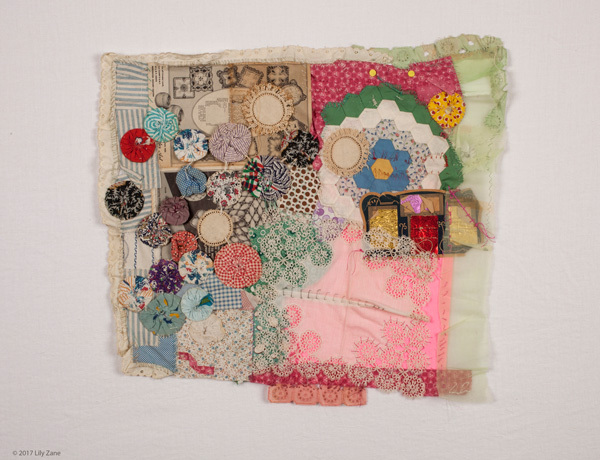 Hannah was an only child, and was evidently doted on by parents and family alike. 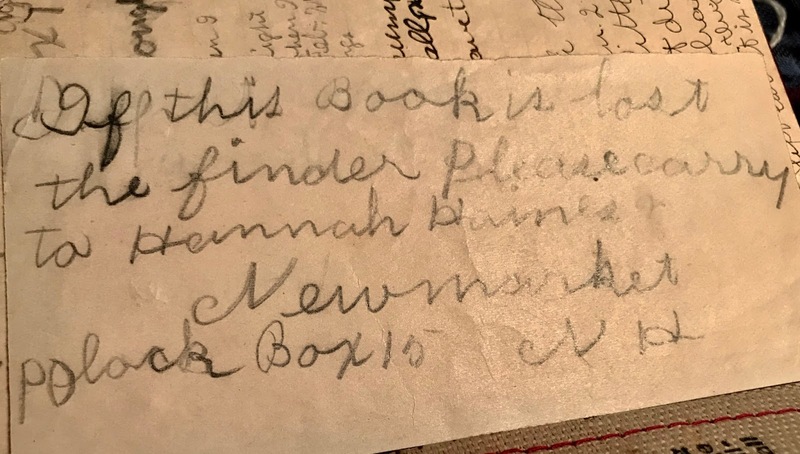 A recent donation to the Newmarket, NH Historical Society is the diary of young girl, Hannah Haines Webb (b. 1889), written sporadically in the 1890s through the early 1900s. 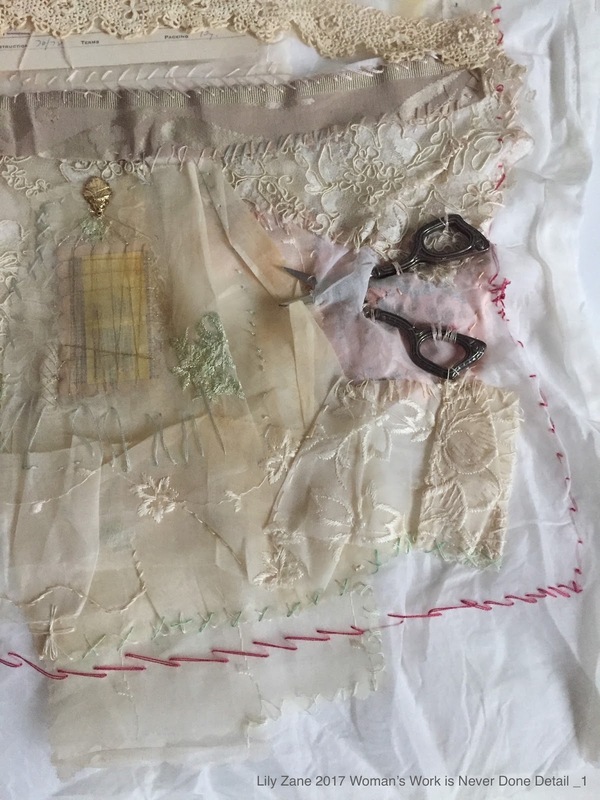 In it, she worries about illness - measles, mumps, smallpox and whooping cough; the pain and recovery of inoculation, and the death of her cat. Hannah also makes mention of a 'sleepover' and the several weddings she attended. To her diary, she divulged her savings in a tin box of $3.45 (which was separate from her bank account). Her diary opens around in the late 1890s and the last entry in her short diary was to record a wedding in 1912. will." March 3 1904, age 15. 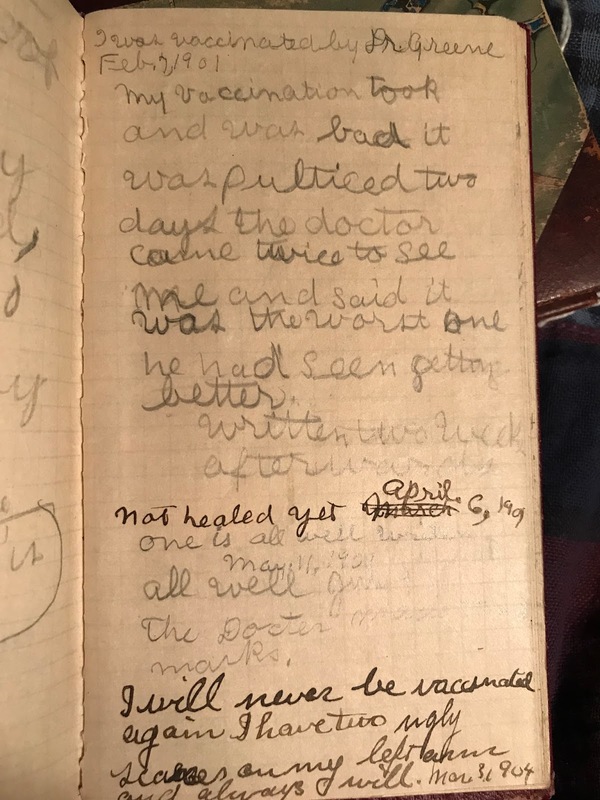 She was first vaccinated in 1901 at age 12. 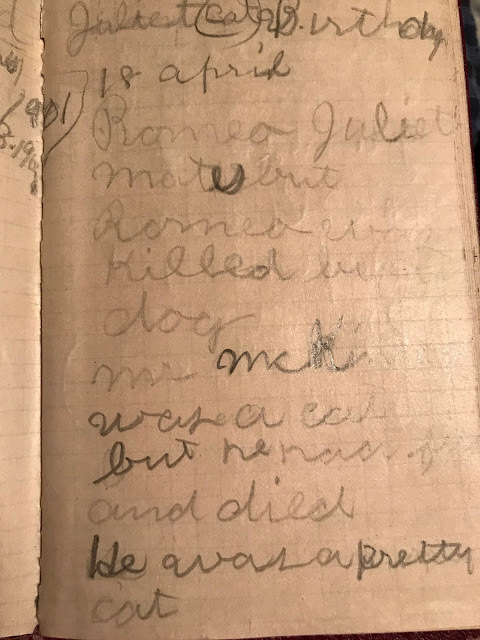 This note was tucked away in the back pocket of the diary, with detailed descriptions of how to return it to its owner. 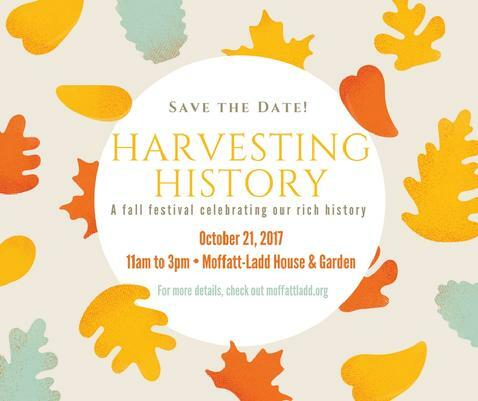 The diary is in the collection of the Newmarket Historical Society. The author thanks John Carmichael and the Board for permission to share the diary.